Adriana Lecouvreur occupies a unique place in the repertory: largely dismissed by experts from its premiere to the present day yet cherished by its fans for the dramatic possibilities provided by the lead roles. The opera is a deft combination of frank emotionalism and flowing lyricism, with pseudo-historical spectacle. Based on a play by Eugène Scribe, the story was inspired by the real-life intrigues of famed actress Adrienne Lecouvreur and the legendary soldier—and lover—Maurice of Saxony. Cilea’s operatic retelling quickly became a favorite of charismatic soloists. The title character in particular is a quintessential diva role. Tickets go on sale Tuesday, December 4, 2018 at 10am. 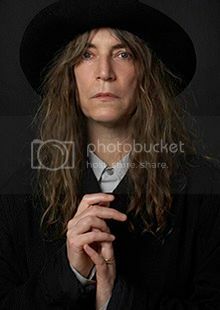 Patti Smith reads from a selection of her recent books, M Train, Devotion, and the National Award Winning memoir, Just Kids. An evening of stories (and an acapella song or two) about love, loss, art, and New York City from iconic poet, writer, artist and performer. Ticket prices: $25 - 125. $125 tickets include cake and champagne with Patti after the event at SITE. All tickets include a copy of Devotion. Direct from the People’s Republic of China, the Golden Dragon Acrobats return to The Lensic with a family-friendly show of spellbinding artistry and amazing athletics! The Golden Dragons represent the best of a time-honored artform that began more than 25 centuries ago. 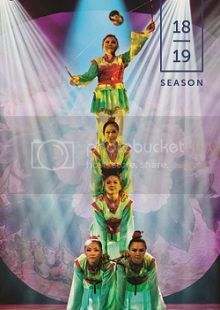 The acrobats have charmed and astounded audiences across the world with a show of breathtaking skill and beauty, combining award-winning acrobatics, spectacular costumes, and unforgettable music. Tickets go on sale Saturday, December 1, 2018 at 12 noon. Ilan Pappé is an expatriate Israeli historian and socialist activist, educated at the University of Jerusalem and the University of Oxford, and is founder of the Academic Institute for Peace in Givat Haviva, Israel. His 2016 book The Biggest Prison on Earth: A History of the Occupied Territories received the Palestine Book Award. Dima Khalidi is the founder and director of Palestine Legal and is cooperating counsel with the Center for Constitutional Rights. She has advocated for Palestinian rights in media forums such as the New York Times, Democracy Now!, the Nation, and the Huffington Post. Scottish violinist Nicola Benedetti, equally at home playing concertos or intimate recitals, is known for risk-taking, thrilling performances, and her disarmingly direct, conversational manner of speaking to audiences. Born in Kiev, Ukraine, pianist Alexei Grynyuk began performing with Ukrainian orchestras and winning international competitions in his early teens. They have found a chamber-music haven in one another, forming a spirited, mesmerizing duo that plays works spanning music history, from the Baroque to new works. It’s a family affair! Eric Jacobsen, hailed as “an interpretive dynamo” (The New York Times) leads the Pro Musica Orchestra featuring soulful violinist Colin Jacobsen in a concert with the music of Mozart, Beethoven and emerging composer Jessie Montgomery. 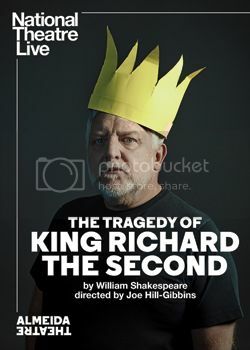 Tickets go on sale Tuesday, January 15, 2019 at 10am. Join New Mexico PBS for a preview screening of AWAKENING IN TAOS - THE MABEL DODGE LUHAN STORY. Wednesday, January 30th - 7:00pm. 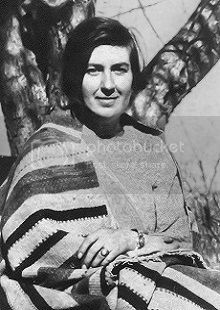 "Awakening in Taos" tells the story of Mabel Dodge Luhan's personal evolution as a writer, salon hostess, art patroness and social activist, and a resident of New Mexico. Narrated by Academy-Award nominee Ali MacGraw. 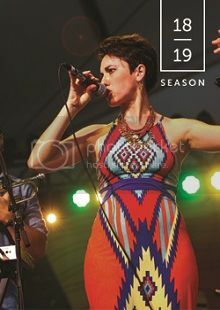 Latin-folk singer-songwriter Gina Chavez—a nine-time Austin Music Award winner and 2015 Austin Musician of the Year—takes audiences on a passionate journey through the Americas, blending the sounds and rhythms of the region with tension and grace. Her bilingual album Up.Rooted (2014) topped both the Amazon and Latin iTunes charts and was hailed by NPR, The Boston Globe, USA Today, and Texas Monthly. Lightbeam, a fi ve-song EP releasing in 2018, expands on her previous work, with classic hooks and a pop aesthetic that showcase her artistic versatility.